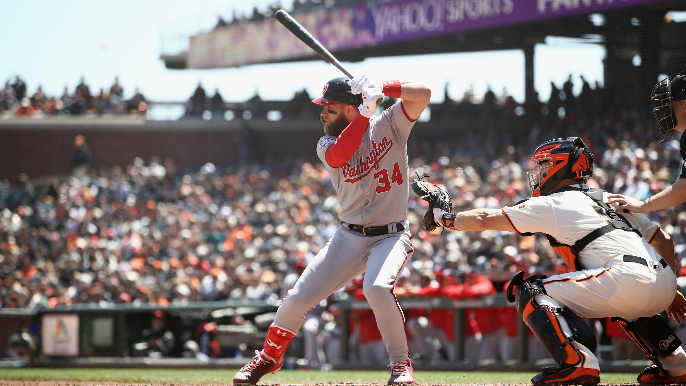 Farhan Zaidi’s apprehension towards breaking the bank for a big-name free agent this offseason made most assume Bryce Harper was off the table for the Giants. It appears, however, that Zaidi is going to try to have his cake and eat it too. The Giants are planning on offering Bryce Harper a ‘lucrative short-term’ deal, and nothing like the Nationals’ reported 10-year, $300 million offer that Harper turned down, according to Bob Nightengale of USA Today. The Giants have been relatively liberal with handing out expensive contracts in recent years. Last offseason was no exception, when the club was reportedly willing to pay $256 million for Giancarlo Stanton. Zaidi has employed a more conservative approach this offseason, spending just $9 million on free agents as the team tries to rebuild its questionable depth. Whether or not Harper would be interested in signing a short-term deal is anybody’s guess. At just 26 years old, Harper is considered to be one of the game’s two best outfielders along with the Angels’ Mike Trout. Harper is a six-time All-Star and won the NL MVP in 2015. Last year was considered a down year by his standards, but Harper still finished with a slash line of 249/.393/.496 with 34 home runs, 34 doubles and 100 RBI in 2018.